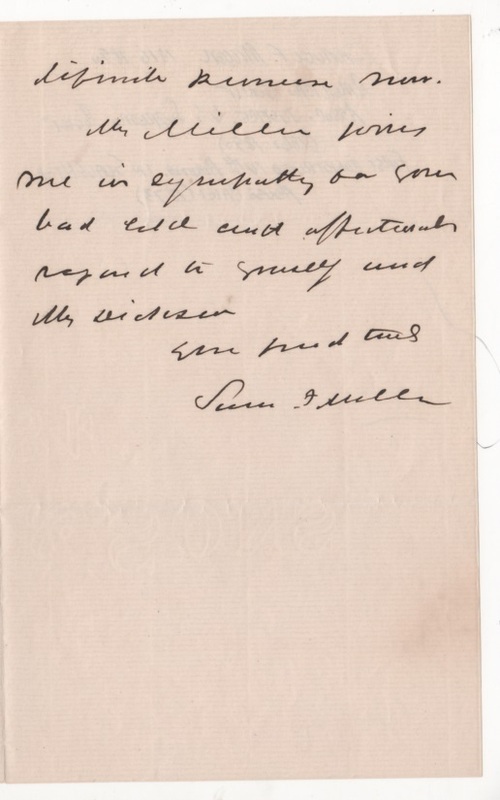 Autograph letter signed, February 11, 1887. Miller bows out of an invitation to an informal stag event due to his anniversary. “Mrs. Miller has invited a few friends for that evening on account of the 30th Anniversary of our wedding.” The letter is written on the first and third pages of a folded four page 8vo sheet. 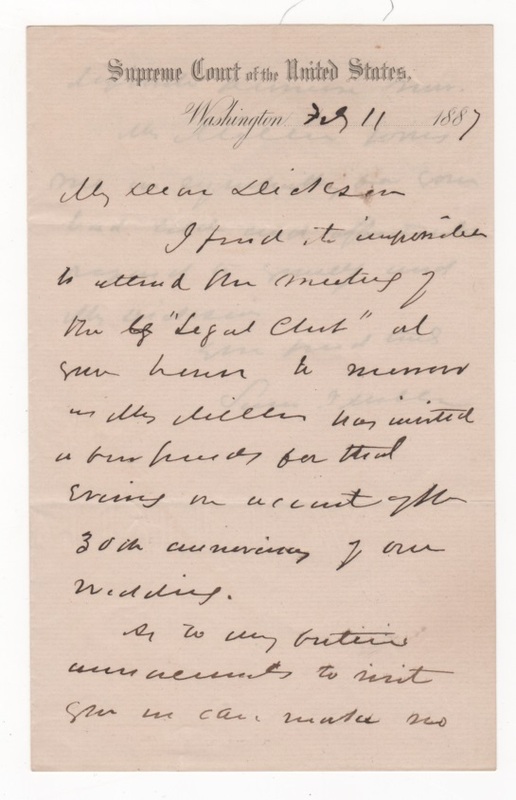 It is fairly early example of engraved Supreme Court stationary which adds to the appeal of this handwritten letter by one of Abraham Lincoln’s Court appointees. Samuel Miller was an active Whig turned Republican activist in the 1860 election. A Lincoln supporter in Iowa, Miller was rewarded when Lincoln’s nominated him to the Court. A sympathizer of Lincoln’s struggle during the War, Miller upheld Lincoln’s suspension of habeas corpus and the right to try civilians by military tribunals.